Emily Goldenstein was crowned the 2018 Missouri Women’s Amateur Champion today at the 88th iconic event hosted at St. Joseph Country Club in St. Joe, Mo. After three days of close competition, the ladies finished off strong. Emily Goldenstein carded an overall score of (72-74-70-216), and tallied an impressive five birdies, nine pars and four bogeys in the final round. Our leading group for the final day consisted of Emily Goldenstein (Chesterfield, Mo. ), Kayla Eckelkamp (Washington, Mo. ), and Reagan Zibilski (Nixa, Mo.). Each player was +4 after the second day, diving into the final round with some very close competition. 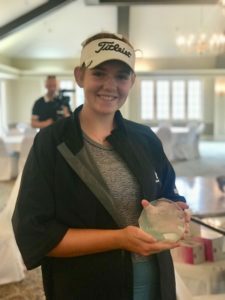 Recent Mid-Amateur winner, Kayla Eckelkamp, made an impressive comeback with a score of 69 on day two after a 77 on day one, and ended up finishing in third overall with a 76 on the final round with a 222 total. Our 2016 Amateur Champion, Emily Goldenstein, kept a consistent score for round one and two with a 72-74, fighting hard to win another championship. She did just that when finishing the final round with a 70, making for a 216 score -total. Our third leader is Reagan Zibilski. Reagan is only just fourteen years old entering her freshman year of high school. For round one and two Reagan shot an impressive, consistent score of 73-73. She fought a good fight and ended up shooting 79 on the final day leaving her at a 225 three-day score total. Following right behind our leading group was Kelly Osborne (L)(Ballwin, Mo.) with a two-day score of 74-73. Kelly made an amazing come back by shooting a 73 again on the last day, leaving her with a 220-three-day total, and ended being runner up overall. Reagan Zibilski took home the Low Junior Award at this year’s championship. Thank you to all of the players who competed this week! A special congratulation to the 2018 Women’s Amateur Champion, Emily Goldenstein! History will be in the air as players and golf fans make the drive through the Village of Country Club to the St. Joseph Country Club. 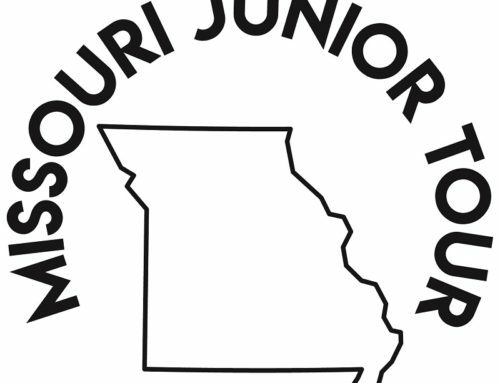 The 80th playing of the Missouri Women’s Amateur returns to St. Joseph Country Club for the 8th time next Monday-Wednesday, July 16-18. The venerable golf course, which dates back to 1912, has hosted the tournament more than any other Missouri golf course, the first was 1938. 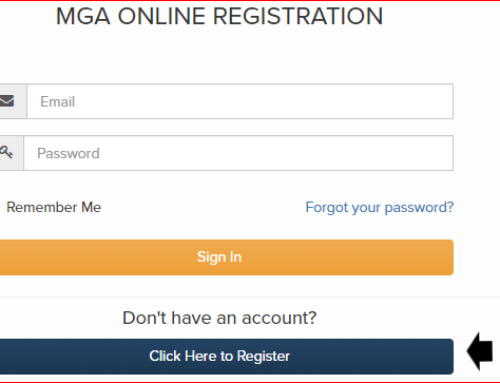 The club is now part of the Great Life Golf and Fitness organization. 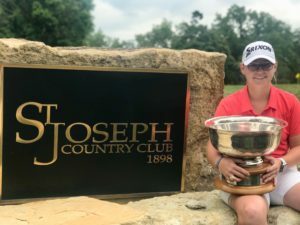 Twenty-four-year-old Mizzou star, by way of Carnoustie Scotland, Jessica Meek will be back to defend the title she won in St. Louis last July at Algonquin G.C. in St. Louis. Her game will be tested early as she is in the first group off at 7:30 a.m. Monday. 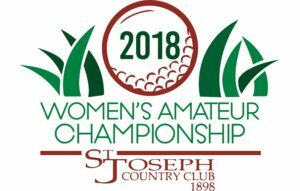 Her fellow competitors in that first group will be 2016 Women’s Amateur champion Emily Goldenstein of Chesterfield, 2018 Missouri Women’s Mid-Amateur champion Kayla Eckelkamp of Washington, and 2018 Junior Amateur champion Amber Wilson of Camdenton, MO. Fifty-six women are in the field, with tee times extending from 7:30 to 10:30 a.m. each day. Recent previous winners at St. Joe CC have been Ellen Port in 2001, Lindsey Murfin in 1987 and Karen Schull MacGee in 1979. Head professional Mike Habermehl and green’s superintendent Kip Beer will have things ready for the 56 combatants. A great golf course such as this will very likely produce a great champion after three days.